Happy fourth everyone I hope you have a good one. There are lots of places to see fireworks this evening. If you don't want to go to the national mall you van go to Einstein high school or the fireworks in Rockville. 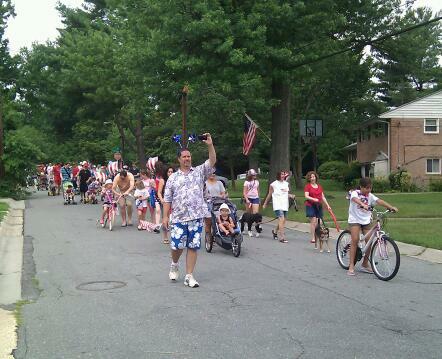 Local neighborhoods are getting into the spirit too,this morning I went to the bicycle parade at Wildwood.